Do you want to improve you looks? Do you want to look very beautiful? Or do you wish to become more stylish? The best place for you to get the desired results is a high quality Hair & Beauty Salon. Durham owns some of the best of the venues for you to achieve these goals. Durham has a range of high quality Hair & Beauty Salons offering the best services in the city. Whether a regular trim or a life changing haircut, the hair get healthier with the new cuts. It is more important to get a better look which suits your personality. A good and nice looking hair style is always helpful to represent your great personality and gives you more confidence. Make your hair cut and get your beauty therapies for greater and beautiful looks and increase confidence in your life. No matter you are man or woman, beauty treatments and hair styling are very important and playing a great role in shaping lives of people. When it comes to finding a great hairstylist or beauty therapist, the city of Durham has got plenty of great experts with very high end beauty products chosen from all over the world for you. LA Markovers is a hair & beauty salon who are specialists in Bridal Hair and Make-up for over 10 years with a large number of events. 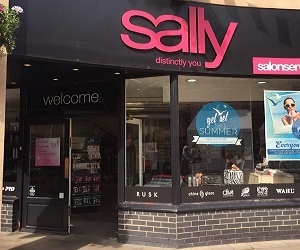 The salon is situated in Langley Moor, County Durham. They provide best services and products to make you look beautiful and young. 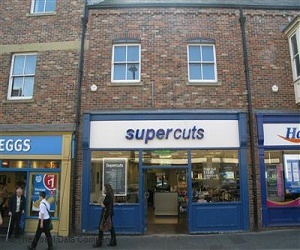 The one-stop shop for all the new Supercuts news, the latest products and exciting offers & discounts as they happen. Here's where we'll make sure you're up to date on all the latest in-salon deals and exciting new product ranges first. Style moves fast, so let us help you keep up.